The one-two punch of warming waters and ocean acidification is predisposing some marine animals to dissolving quickly under conditions already occurring off the Northern California coast, according to a study from the University of California, Davis. In the study, published in the journal Proceedings of the Royal Society B: Biological Sciences, researchers at the UC Davis Bodega Marine Laboratory raised bryozoans, also known as “moss animals,” in seawater tanks and exposed them to various levels of water temperature, food and increased acidity. The scientists found that when grown in warmer waters and then exposed to acidity, the bryozoans quickly began to dissolve. Large portions of their skeletons disappeared in as little as two months. Bryozoans are colonial animals, superficially similar to, but not related to, corals. Abundant in California kelp forests, they are calcareous, meaning they build their honeycomb-shaped skeletons from calcium carbonate. The scientists found that when raised under warming conditions, bryozoans altered their chemical composition by building higher levels of magnesium into their skeletons, particularly if they were also eating less food. When exposed to more acidic conditions already observed off coastal California, these changes predisposed the animals to dissolve. The researchers consider bryozoans a canary in the coal mine for other marine animals that build calcareous skeletons containing magnesium. These include sea stars, sea urchins, calcifying algae and tube-building worms. The authors do not know why the bryozoans added more magnesium to their skeletons under warmer temperatures. But they conclude that marine organisms with skeletons made of high-magnesium calcite may be especially susceptible to ocean acidification because this form of calcium carbonate dissolves more easily than others. Bryozoans grow in connected colonies. During the experiments, the animals shut down parts of themselves when undergoing the stress of ocean acidification, redirecting their energy to new growth. This was somewhat like closing down units of a condominium complex while building new ones at the same time. But the moss animals could not outpace the dissolution. “They were trying to grow but were dissolving at the same time,” Swezey said. The authors said the study underlines the increasing vulnerability of calcified animals to ocean acidification, which occurs as the ocean absorbs more atmospheric carbon emitted through the burning of fossil fuels. During the spring and summer months, deep ocean water rich in carbon dioxide periodically wells up along the California coast when surface waters are pushed offshore by strong winds. 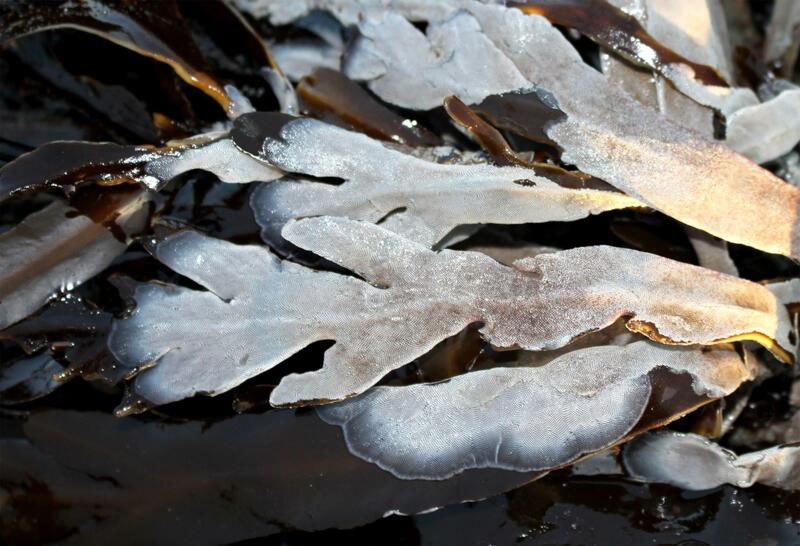 These upwelling events also push nutrients to the surface to help support kelp forests and productive fisheries. However, this deep water tends to be more acidic. Climate modeling shows that the trends of warming ocean temperatures, stronger winds and increasingly strong upwelling events are expected to continue in the coming years as carbon dioxide concentrations in the atmosphere increase. This indicates that acidified conditions will likely become more common, rather than episodic. The study’s other co-authors include Jessica Bean, Aaron Ninokawa, Tessa Hill and Brian Gaylord from UC Davis. Bean is also affiliated with UC Berkeley. The study was supported by grants from the National Science Foundation and the University of California Multicampus Research Programs and Initiatives. Swezey was also supported by a NSF Graduate Research Fellowship. Read this article and other climate change feature stories on the UC Davis Science & Climate website.